A regular, manual toothbrush can cost anywhere between $1 and $6, depending on the shape on the brush head, brand, number of bristles, and softness. Many come in multi-packs and you can save a lot of money buying in bulk, because it’s healthy to change your toothbrush at least every three months. Electric toothbrushes are more expensive but come with a variety of features manuals do not. They have spinning heads, that can remove more plaque with less effort and clean closer to the gumline. Some even have a built in timer to let you know when you’ve brushed enough. They’re fun for kids, and convenient for adults, but the price point can be a deterrent. Ranging from $20 – $400, these come with as many bells and whistles as you’re willing to pay for. After brushing, it’s time to floss, and we all know floss is the cheapest member of your dental hygiene team. Most packs are less than $2. Even floss picks, which are great for travel and dinner dates, come in multipacks for just a few dollars and fit well in a clutch or wallet. But how clean are your gums after using them? Water flossers have all the same negatives as electric toothbrushes – they’re costly and need to be charged. They may not be the easiest to pack in your overnight bag. But the results are hard to downplay. 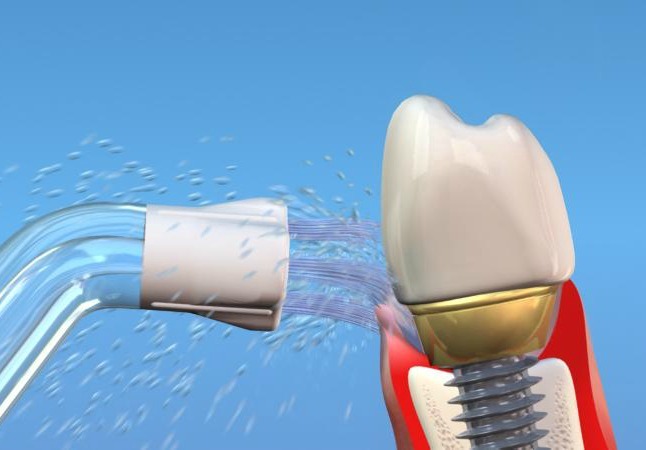 They work great for those with implants, bridges, and braces. If you enjoy a healthy smile, without too much elbow grease, you may agree that these tools are well worth the extra expense. But if you are a dedicated flosser with a well rehearsed routine, the old reliables will do just fine!